Been procrastinating on Father’s Day? If so, I might have just have a solution. 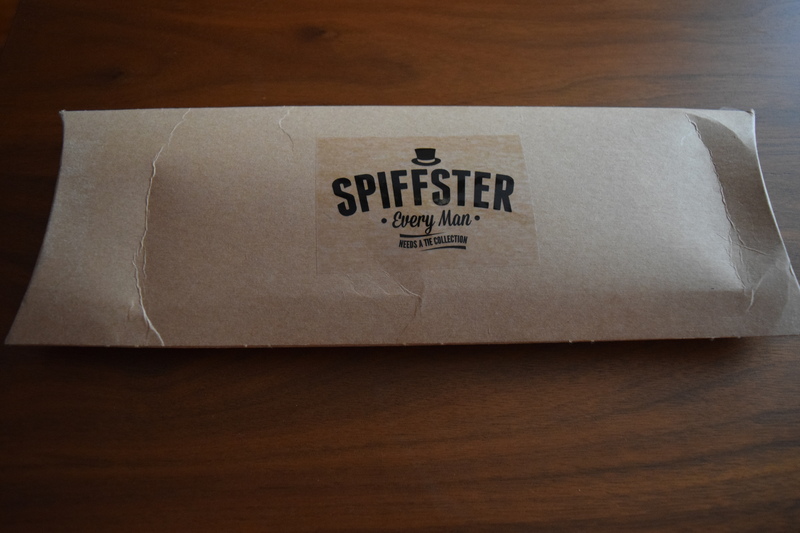 The wonderful folks at Spiffster, a premium tie subscription, sent me a box to review and a fabulous 20% off coupon. Just use SUBSCRIPTIONTHERAPY to save 20% off your entire subscription (not just the first month, but the whole sub)! After you become a member, they send you a short survey that allows you to build your profile and deliver ties tailored to your preferences. A fresh tie gets delivered to you monthly. All ties are shipped on the 16th of each month. 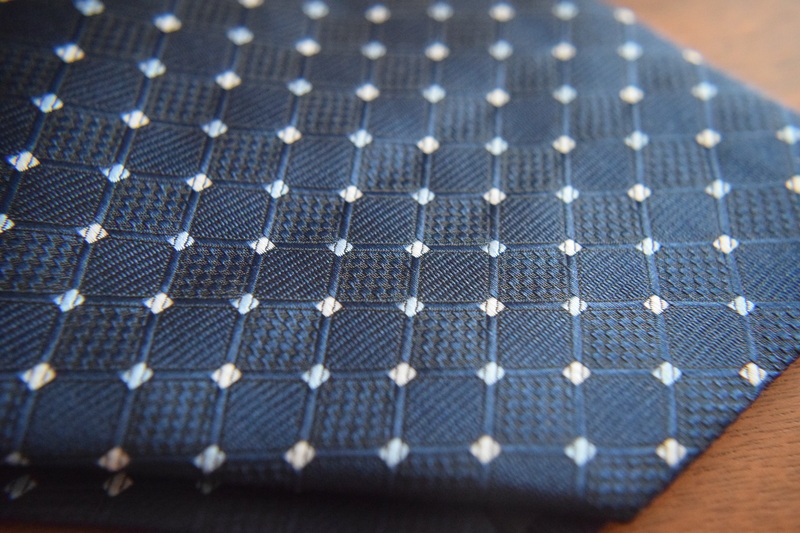 What really sets this sub apart is that you get to customize the tie you receive, plus it’s super affordable. A month to month sub is only $8.95, with discounts for prepaying 3 or 6 month subs. 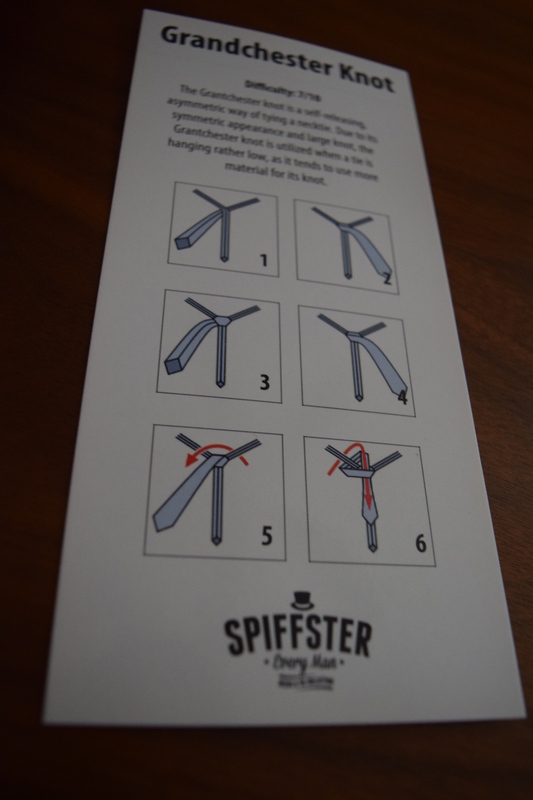 Spiffster also offers the ability to purchase ties separately from the subscription in their Spiffster One Time Shop. Now you may be wondering what $8.95 will get us? (Me too). Let’s jump in. Now subscribers typically choose their own tie, but mine was selected by Spiffster. It’s a nice classic style and the quality is excellent. I’ve gotten a lot of ties from men’s boxes and this is one of the few my boyfriend actually wanted to keep. Also included was a card, with instructions on how to tie a specific knot. I thought this was a great inclusion and I think a lot of guys would be interested in learning some of the different methods that they may not be accustomed to using. I’m really impressed with the quality you get for only $8.95. I also really appreciate that this subscription is completely customized. For a gentleman that needs to wear a tie every day, this is an easy, inexpensive way to build up a tie wardrobe. I could also see this as a great gift for a recent grad that is heading into the business world. If you’ve been looking at tie subs, this is definitely one to move to the top of your list. Have you ever purchased a subscription as a gift? If so, tell me about it in the comments! 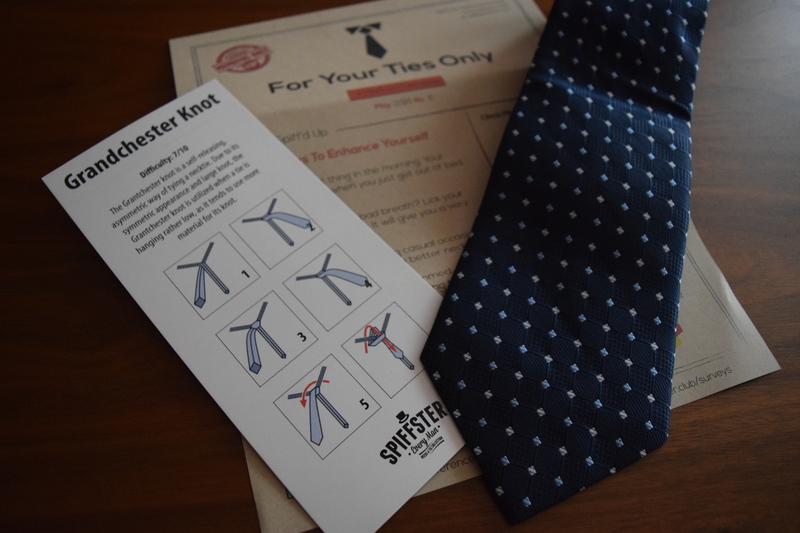 After you become a member at Spiffster, they send you a short survey that allows you to build your profile and deliver ties tailored to your preferences. A fresh tie gets delivered to you monthly. All ties are shipped on the 16th of each month. Aw this is a cute box! My dad doesn’t wear ties anymore, but my boyfriend has shown interest in wearing them more recently! My boyfriend only has to wear ties on special occasions, but I think this would be a fun sub for the guys that need to wear them every day. 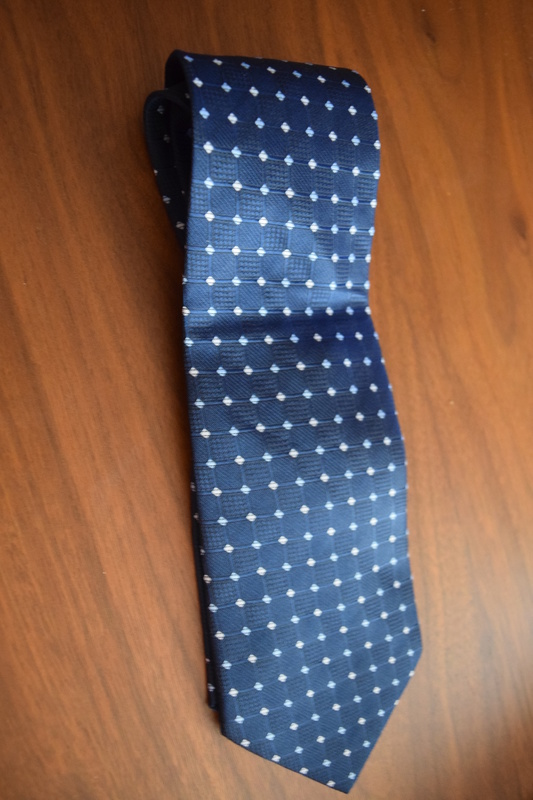 What a cool subbie idea for tie lovers or as a gift to a tie lover! And it’s really affordable. You could give someone a 3 month sub for $24.95 (and that’s before using a coupon). Yeah if I was a guy and had to wear a suit every day I’d definitely treat myself to a tie subscription. It would at least make it a little fun!